The Viking Solar Hot Water Circulating Pump was used mostly with Solar Power solar hot water systems. They used the Saxon SP4002 400 litre copper hot water tank. As they are a closed loop low pressure solar hot water system you need to be careful when choosing the correct replacement pump. 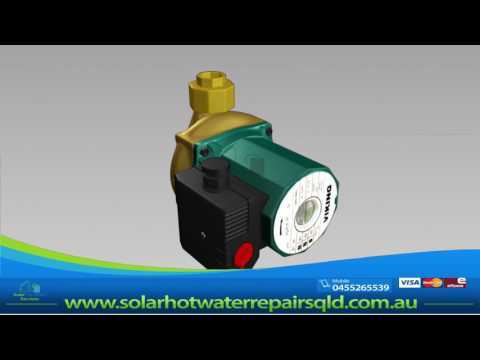 Solar Hot Water Repairs QLD stock replacement pumps for this system. Solar Hot Water Repairs QLD repair solar hot water systems on the Sunshine Coast but also from Brisbane to Hervey Bay. For all solar hot water enquiries please call 0455 265 539 or email accounts@solarhotwaterrepairsqld.com.au Solar hot water plumbing repairs, call a plumber to fix your solar hot water 0455265539 repair all solar hot water systems.